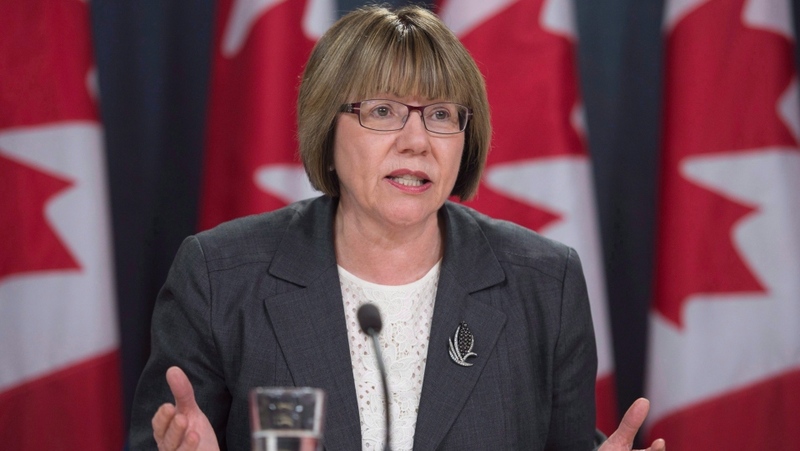 OTTAWA – Anne McLellan, Prime Minister Justin Trudeau’s newly-appointed "special" adviser who is examining some of the machinery of government issues at the heart of the SNC-Lavalin controversy, says the possibility of splitting up the justice minister and attorney general roles requires "serious consideration." In an exclusive interview with CTV’s Power Play, former Liberal minister and deputy prime minister McLellan said the idea to appoint separate people to hold those roles, so that the attorney general would be insulated and not sit at the cabinet table, is a complicated matter. "This is not a simple, easy question, and one that will have implications for government going forward," McLellan said. Trudeau announced her new role during the first question period he has attended since Jody Wilson-Raybould testified before the House Justice Committee that she faced high-level "veiled threats" and political interference in the criminal prosecution of SNC-Lavalin when she was justice minister and attorney general. Wilson-Raybould's testimony prompted calls from the opposition for an RCMP investigation and for Trudeau to resign. "Canadians expect and deserve to have faith in their institutions and the people who serve within them. The events of the last few weeks have raised important questions," Trudeau said in a statement that was sent as he rose in the House to announce the new probe. McLellan is being asked to look into the practice that since Confederation has seen the justice minister and attorney general roles being held by the same person, as well as "analyze the operating policies and practices across the Cabinet, and the role of public servants and political staff in their interactions with the minister of justice and attorney general." McLellan "will consider whether machinery of government or legislative changes may or may not be recommended," the PMO statement said. On CTV’s Power Play, McLellan, who once was justice minister and attorney general, said that in her experience the dual role has a nuance that is less confusing for the cabinet minister wearing both hats than it can be for the others in government interacting with that person. "We do see the fact that there can be tensions, there can be misunderstandings, misperceptions, and so on," she said. McLellan said she can see the arguments on both sides of the issue and she hopes to consider the experiences of other jurisdictions who have separated the two positions, including in the UK. This move to have a third-party examination of this and other related governance issues was promised by Trudeau during his early March press conference in which he acknowledged that he could have acted differently as events around SNC-Lavalin unfolded, but stopped short of apologizing. Central to the scandal was Wilson-Raybould holding both titles at the time she alleges she faced this pressure to interfere, because of a principle that asserts that an attorney general is able to consult cabinet colleagues but cannot be directed or considerably pushed towards making a decision related to a prosecution. Conservative Leader Andrew Scheer has said in a recent interview on CTV’s Question Period that he’d be "open to looking at" splitting up the justice minister and attorney general roles. McLellan will provide her recommendations to Trudeau by June 30. "Recently questions have been raised about the joint roles… and about the rules and norms which should govern the relationship between the justice minister and attorney general, other ministers, public servants and political staff. I believe that it is timely and appropriate to examine these questions. I look forward to providing my advice to the Prime Minister," McClellan said in the statement announcing her appointment. Scheer was quick to criticize the move during question period. "Liberals will investigate Liberals… unbelievable Mr. Speaker," he said. "All for something that according to the prime minister, was completely false." Scheer then re-stated his party’s calls to allow Wilson-Raybould to testify again on the matter. The next opportunity for that possibility to be explored is Tuesday morning behind closed doors when the House Justice Committee meets to discuss next steps, including the prospect of having her appear again. “She should be given the right to speak tomorrow at justice committee. If not, it is a cover-up. They’re hoping to go on with a budget and just turn the channel,” he said, suggesting that if Trudeau declines to let Wilson-Raybould speak again then Conservatives could delay the federal budget. The last time a budget was delayed was two years ago when Conservative and NDP MPs filibustered until 2 a.m. to delay a Liberal motion. 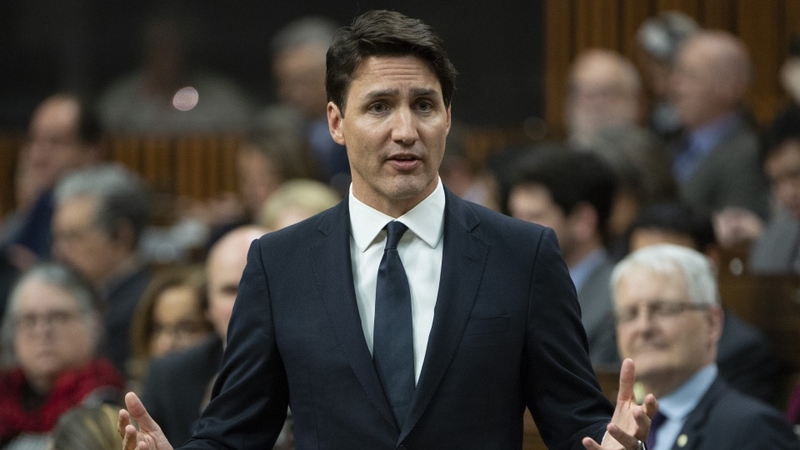 Over a month after the SNC-Lavalin controversy began unfolding, and on the eve of the final federal budget of this mandate, the governing Liberals continue to face a barrage of questions from the opposition over the ongoing affair. Wilson-Raybould signaled her desire to testify again on the matter, prompting opposition attempts to invite her that have been shut down by the Liberals so far. With the exception of his debut first questions in English and French, NDP Leader Jagmeet Singh also got in on the controversy in question period. Singh asked yet again for the government to call a public inquiry into the matter. "The OECD’s anti-bribery unit is concerned about political interference and they said this scandal 'set all alarms sounding. '… Why is this prime minister so afraid to launch a public inquiry?" Singh said. Trudeau responded saying that his party is "happy to co-operate" and answer all questions currently spiraling. 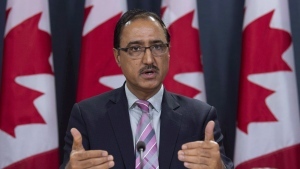 Following up on his question period appearance in the Commons, Singh said he couldn't see "how Liberals think that appointing a minister from the time of the sponsorship scandal to deal with a current scandal makes any sense." McLellan—who also chaired the federal marijuana legalization task force—was slated to appear as part of a Liberal Party fundraiser to benefit 2019 female election candidates later this month in Edmonton. This raised eyebrows as Trudeau had just hailed her as "independent" in the House of Commons. The event was billed as "an exciting opportunity to hear from the Hon. Anne McLellan and to show your support as we prepare to elect more Liberal MPs from Alberta and more women across the country in this year's important election campaign." Liberal Party spokesperson Braeden Caley told CTV News that McLellan "decided she would not participate as the event’s special guest," upon accepting her new special adviser role. The page promoting the event is no longer publicly viewable, and the party says that’s because it’s being updated to reflect McLellan will no longer take part. "I've supported women candidates across all parties for a very long time. I was asked to speak at that fundraiser… I had agreed to do that before taking up this role. Obviously in my opinion it is not appropriate for me to participate," she said on CTV's Power Play.